Today I am journaling Psalm 40:1-3 "I waited patiently for the Lord; he inclined to me and heard my cry. He drew me up from the pit of destruction, out of the miry bog, and set my feet upon a rock, making my steps secure. He put a new song in my mouth, a song of praise to our God"
God can really redeem us and bring us through the pits. 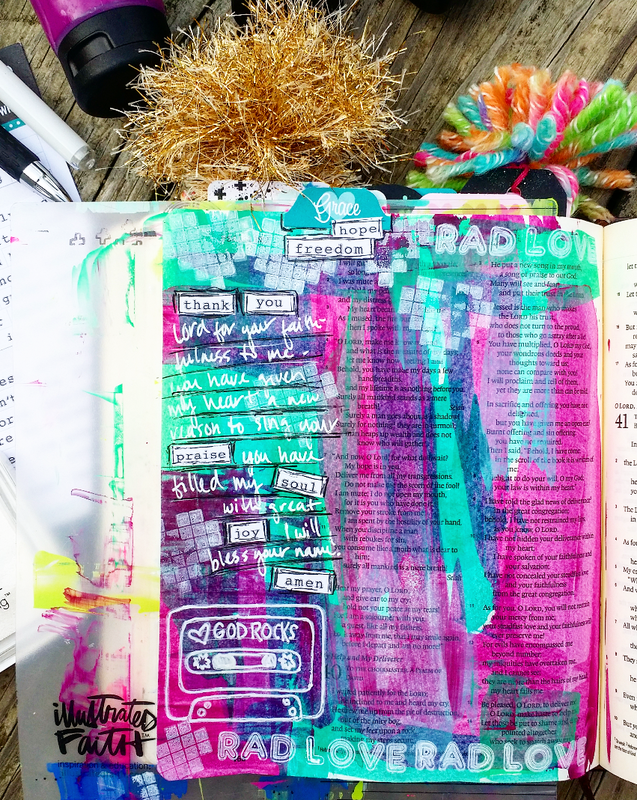 That is what I am celebrating in my Journaling Bible today. Friends, God Rocks. He has a radical love for us. He hears us. He leans in and listens to our whispers, or cries of despair and our rejoicing. He sees you right where you are. 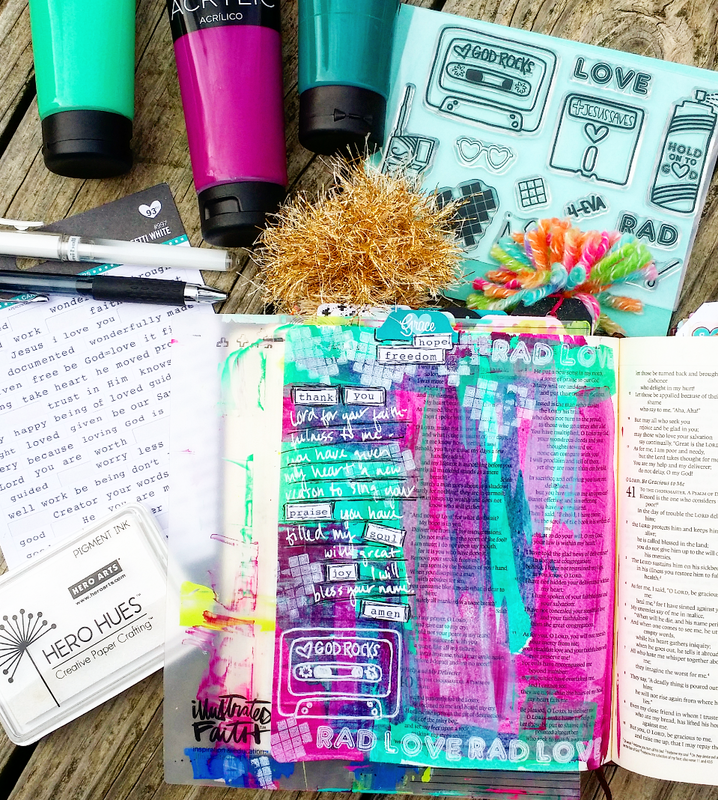 I used the Rad Love Stamp Set from my shop [Growing Meadows] with a hero hues ink pad in unicorn, a white uniball gel pen, stickers from Illustrated Faith. along with some Master's Touch Acrylic paints from Hobby Lobby to create this fun page in my Journaling Bible.